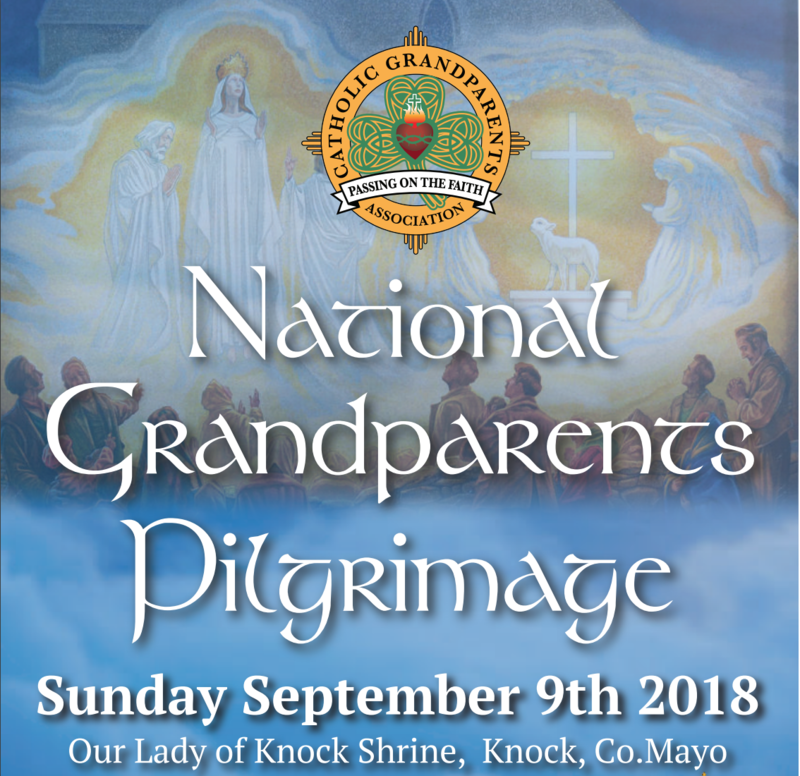 ​Catholic Grandparents Association Annual National Pilgrimage, Knock Shrine, 9 September 2018, 2.30pm. Everybody welcome to come along, to honour and thank Grandparents, alive and dead, for all they have done for us down through generations. Chief Celebrant Archbishop Jude Thaddeus Okolo, Apostolic Nuncio. Combined Choirs of Knock Parish, the Tuttle Family and Dana will sing 'Our Lady of Knock.' Children are asked to write a prayer for their grandparent(s) and all prayers brought / sent to Knock Shrine will be blessed on the day. Web: www.catholicgrandparentsassociation.org . Sts Joachim and Anne, Parents of Mary, Grandparents of Jesus, pray for us.